Which Social Media Site Should be Your Important Support Channel? Prior to the age of social media, companies had to pull teeth in order to engage with customers. You don’t see product expos or in-person sales as much as you used to, do you? While you may occasionally get a visit from a door-to-door salesman, the idea is antiquated – there are better and less expensive methods of engaging with customers in valuable ways these days. Customers these days are also changing to acclimate with the social media climate. It’s not uncommon to see consumers actively engaging with the brands they love, and sending some salty comments to brands they don’t care for much. Customers now have easy methods of communicating, and their voices are amplified by posting to social media sites that can be seen by millions of people globally. Consumers also research brands online before purchasing, now. Back in the day, going to the grocery store was all about buying what sounded good based on the information on the product label. Now customers can stand in the aisle with a smartphone and either research the brand or use an app to take a picture of the barcode and get up to date information via an app. These are all positive reasons why you should be on social media, but not using social media isn’t just a neutral option. When you don’t use social accounts and engage with customers, they take notice and are more likely to choose a social competitor versus your service. 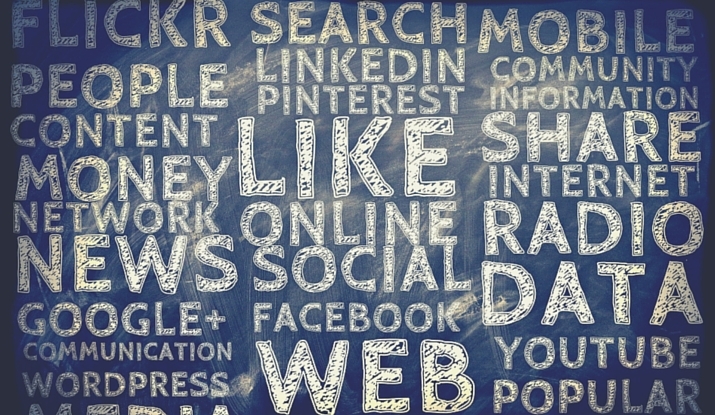 Now the question is which social channel is the best one for your business? Regardless of what kind of business you are, the answer is almost always Twitter. The answer to this question used to be Facebook, and it is still a highly inhabited social media platform, but the tides change daily in the world of trends and social platforms. Right now, Twitter is reigning among social sites, with Instagram hot on its heels. Twitter is so successful maybe because it blends the text platform of Facebook with a higher quality and easier-to-use image platform. Twitter is the best of both worlds and contributes to the millennial habit of digesting information in quick bites, not long posts. If you don’t want vague, strung together reasons, here’s a cohesive list of some of the biggest reasons to choose Twitter as your main social hub. It’s what’s in right now. It’s already been touched on, but Twitter is the social site to be on right now. In fact, according to J.D. Power and Associates, 67% of consumers have used a Twitter account of a brand they like as a place for customer support. Consumers don’t like the idea of waiting on the phone for hours to report problems they have – on Twitter, they can address a grievance or issue in 140 characters and receive a response quickly. Brevity, wit, etc. The great thing about Twitter is that it’s all about being concise. As simple as it might sound to only have to write 140 characters worth of words, the reality is that this short amount of space is an exercise in making literally every character count. Once you’re acclimated to the length adjustment, you’ll also find that it’s easier and quicker to have conversations with customers. Also, while you do have a commitment to professionalism, you do have more leeway when it comes to social media. You can reach multiple users at once. Twitter is a platform that allows for targeting multiple users at once via the @ function. When you see multiple people inquiring about the same thing, it’s simply to send them all an @ message using their Twitter usernames to answer the question once instead of multiple times. Also, if there is an issue that many people are asking about, @ as many of them directly as possible and then clarify the issue in a base tweet that can be seen by all users. Real time conversations. Sure, you aren’t getting the same speed and response time that you would if you were on the phone with a customer, but Twitter is essentially the next best thing. This quick and easily accessible form of communication can be accessed almost anywhere as long as you have a phone signal and a smartphone to visit Twitter on. This means you can answer questions and send out information about support problems in nearly no time at all, which is a lot better than other support channels you may have used in the past.